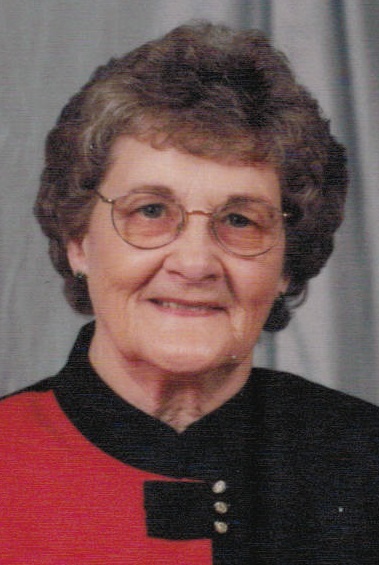 Lucille Geraldine McKinney 91, of Centralia, WA, passed away peacefully surrounded by her family on March 18, 2019. She was born July 14, 1927 in Sweetwater, TX to Thomas and Sallie Elizabeth Schafer. The family settled in Oklahoma City, OK where Lucille attended school and graduated from Capitol Hill Senior High. She met Odas(Mac) McKinney in Oklahoma City and they married the day after she graduated from high school. After Mac was discharged from the Navy in 1945, they lived in Oklahoma City, Stockton, CA, Seattle, WA, Olympia, WA, and settled in Rochester, WA in 1953. They opened Mac’s Body and Fender Shop in Centralia, WA in 1962 and worked together until selling the business and retiring in 1983. Mac and Gerrie spent many summers in Sekiu, WA fishing with friends. They also attended many World War II USS Bush ship reunions. Mac and Gerrie lived in Rochester for 49 years until Mac passed away in 2002. They were married 56 years. Over the next several years, Gerrie and her longtime friend Bev McBroom traveled all over the U.S. on tour buses. She also enjoyed bowling and attending grandchildren’s athletic events and activities. During her high school years, Gerrie worked the soda fountain at Woolworth’s Five and Dime in Oklahoma City. She was a bookkeeper most of her life, working at Bell Telephone in Stockton, Seattle Gas Company in Seattle, Capital Plumbing in Olympia, and Mac’s Body Shop. Lucille is survived by sons, Dale (Karen) McKinney, Ron (Joan) McKinney and Greg (Renita) McKinney; Grandchildren, Cindy McKinney, Crystal (Bryant) Hitchcock, Jamie (Andy) Lanoue, Nicole (Tim) Spencer, Tom (Megan) McKinney, Stephanie (Krista Smith) McKinney, Vince (Felecia) McKinney, Danielle McKinney; and 15 great-grandchildren. She was preceded in death by her husband Mac; parents Thomas and Sallie Schafer; sisters, Josephine Spencer, Marjorie Presson; brother Glenn Schafer; and daughter-in-law Vickie McKinney. The family would like to thank Denise Shero and her staff at Oakwood Haven Adult Family Homes for the wonderful care they provided for Gerrie over the last two years. A graveside service will be held at the Grand Mound Cemetery in Rochester on Saturday, April 6th at 11:00 am.